Barack Obama is going to be interviewed by GloZell Green. Here’s another video of GloZell in action. Maybe he’ll do the cinnamon challenge? After his State Of The Union address on Tuesday, the POTUS has confirmed, he will sit down for interviews with three YouTube stars – including GloZell. Most clips, which last around two to seven minutes on average, usually proceed to feature a musical parody or a food-related challenge. 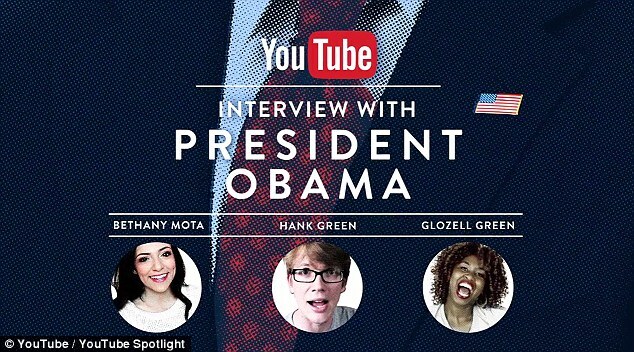 Obama will hold interviews with GloZell, Bethany Mota and Hank Green.